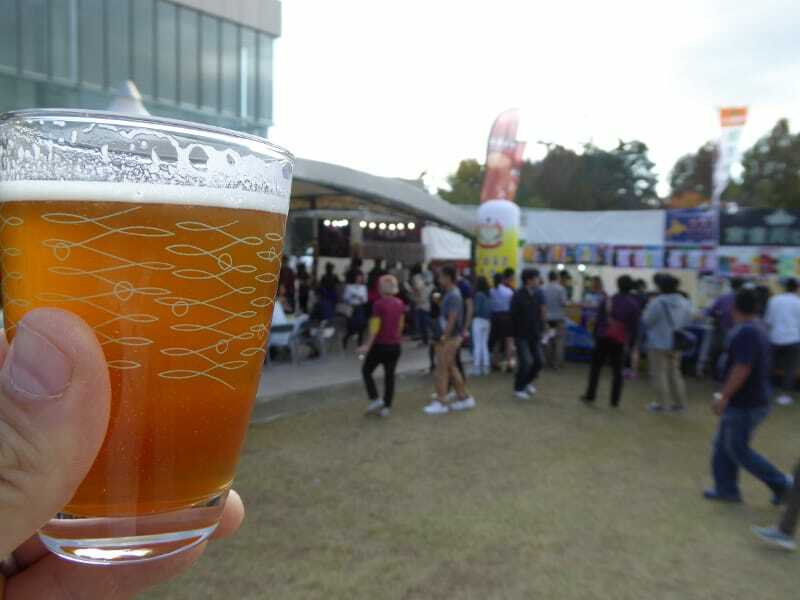 Last weekend the yearly Craft Beer Kanazawa Festival took place in central Kanazawa. This year 14 different producers brought about 80 different kind of beers for us to taste. Compared with 6 years ago when I came to Japan and Japan was still more or less Kirin-Asahi-Sapporo country without any distinguishable taste, the situation as improved vastly, and we can now enjoy lots of excellent local beers! Returning from a trip to Swansea and a conference in Fukuoka, I arrived at Kanazawa train station and went directly to the beer festival. A great welcome back in Kanazawa, but due to excessive sleep deprivation and the feeling of “finally I want to come home”, I only enjoyed 6 beers from 6 different producers. In the gardens behind the Shinoki Cultural Center lots of small tents with beer and food were set up. Lots of tables and chairs were also available, but most people enjoyed flocking around in the grass around the tents. 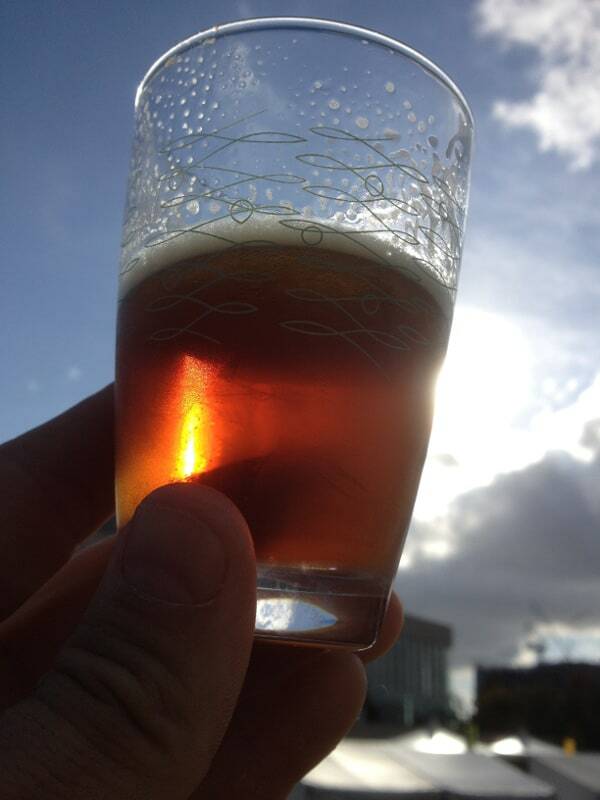 What a difference to last year’s rainy and cold beer festival! Ohya Brasserie, Kitokito Hop きときとホップ: A desaster, I was close to throw this beer away, but then thought – もったいない (what a waste!). Strange and disturbing taste. Ushitora Brewery, Pure Street Session IPA: Ok, but nothing special. Too light and not taste a bit unclear to me. Minoh Brewery, Momo Weizen: Typical Weizen Beer, light and refreshing taste. Good. Swanlake Brewery, some seasonal IPA: good, not so extremely bitter, nice taste. Yoho Brewery, Red Ale: my absolute favorite – I don’t know why, but this brewery simply produces absolutely stunning ales. Their Aooni 青鬼 IPA is my day-in-day-out beer, world class. Their Yona Yona Ale, less bitter than the Aooni, is already famous, and this Red Ale was a perfect addition. A great beer festival and I am looking for next years festival to try a few more. In the mean time I will stock up beers at home, so that I have always a good Yoho Brewery beer at hand! Your narration is simply great. By the way, I like beers very much.